A berm is a mound of soil brought in to create a garden bed that is higher than the rest of the garden. One reason to build a berm is to improve drainage for plants that do not like wet soil. A berm can also be a good way to improve poor soil. A benefit to a higher planting bed is that plants are less likely to be stepped on. Building up areas by berming can give a sculptural look to an otherwise flat landscape. Choose a location where a berm will look natural. You are altering the elevation of an area so make sure you do not create new drainage issues. If your purpose is to grow draught tolerant plants or a rock garden the berm will need to be in a full sun location. Clear the site. Remove all of the weeds and debris. It is amazing how grass and other weeds can find their way through even deep soil. Removing weeds is better than using landscape cloth. The cloth will only work for awhile and it can hinder air and water flow. Use the wheelbarrow to bring the topsoil to the location. The amount of soil needed will depend on the size of the berm. Keep adding topsoil until the berm is 2-3 feet tall in the center and slowly graduate it down on each side. The soil will settle some so make it a little higher than you want. Add the boulders randomly throughout the berm. Boulders will help create a natural look and will increase the stability of the berm. If you build a large berm, use large boulders; a small berm will look better with smaller rocks. If you are creating a rock garden, use a variety of rock sizes and place them much closer together to create planting pockets. Add your plants. Berms create great drainage and are perfect for Mediterranean plants. Plants that hate wet situations like daphne and phormium are great choices. 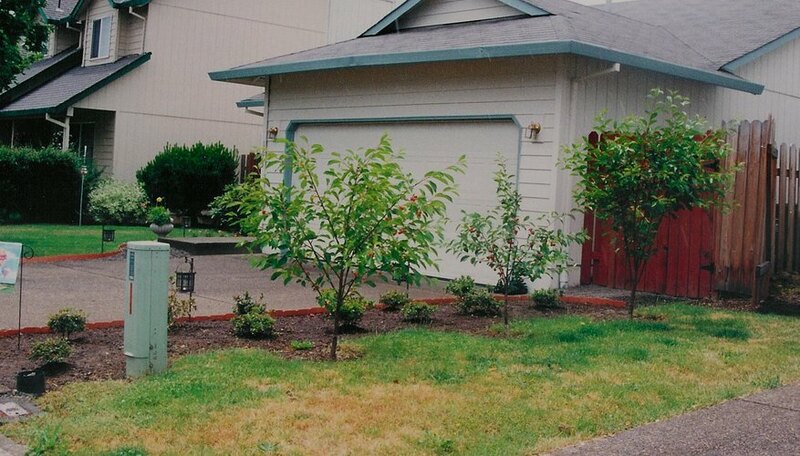 Place shrubs or small trees in the center of the berm where they will have the deepest amount of root space. Beneath the larger plants place an assortment of perennial flowers or succulents. Put the smallest plants at the base of the berm. If it looks too uniform scatter medium-sized plants randomly throughout the berm. Bring more attention to your berm by adding a bird bath or some type of garden art. The bermed area can become a focal point in your garden. Berms can also be used to grow vegetables, tomatoes and potatoes love deep loose soil.